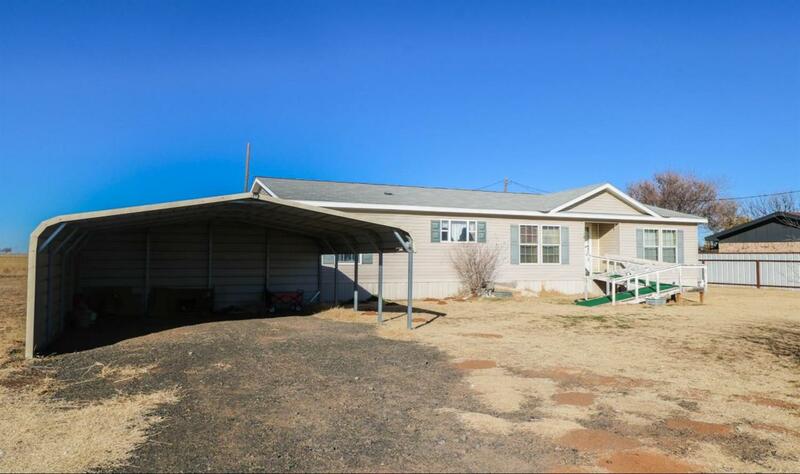 Solid double wide manufactured home located on the edge of town. This home has a great layout with 3 beds/ 2 baths. It boasts of an open concept throughout the kitchen, dining and living room. The master bath has a large walk-in closet and bathtub with his and hers sinks. There is a nice storage shed located behind the home that could be a great shop area. Come check out this great home! There are deed restrictions towards this property that have not been applied. Listing provided courtesy of Madilyn Edwards of M. Edwards, Realtors. Listing information © 2019 Lubbock Association of REALTORS® MLS.